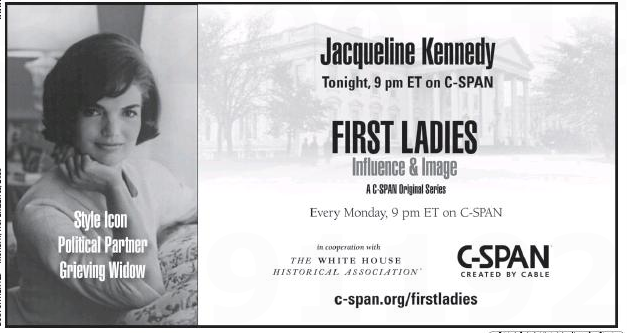 Tonight C-SPAN debuts the latest installment in its First Ladies series: Jacqueline Kennedy. And both local dailies ran ads today promoting the program. 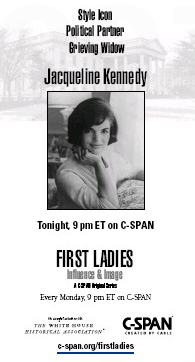 Note the time: 9 pm for both programs. And note that PBS apparently thinks Herald readers don’t watch public broadcasting. Wonder what gave PBS that idea? P.S. 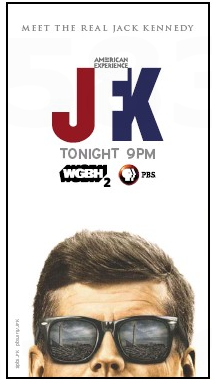 To prep for the JFK premiere, check out Adam Clymer’s Page One piece in today’s New York Times. 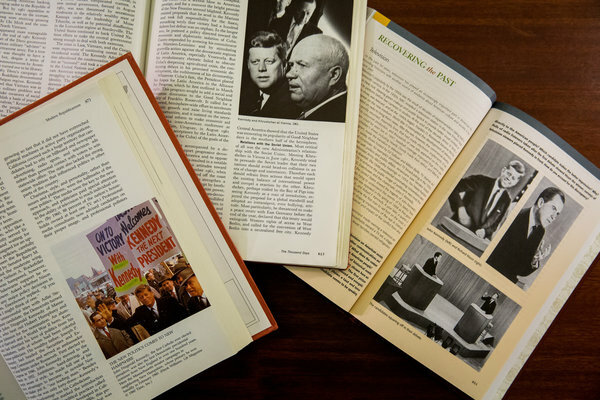 WASHINGTON — The President John F. Kennedy students learn about today is not their grandparents’ J.F.K. Ouch. Maybe the PBS show will teach us something new. This entry was posted on Monday, November 11th, 2013 at 9:16 pm and is filed under Uncategorized. You can follow any responses to this entry through the RSS 2.0 feed. You can leave a response, or trackback from your own site.